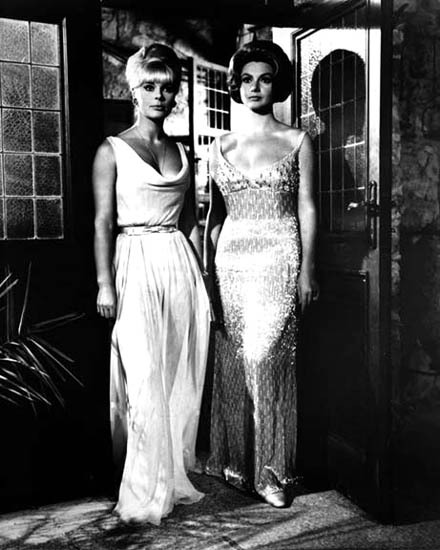 DEADLIER THAN THE MALE - (1967-British) (Color) 101 min: Starring: Elke Sommer, Sylva Koscina, Richard Johnson. 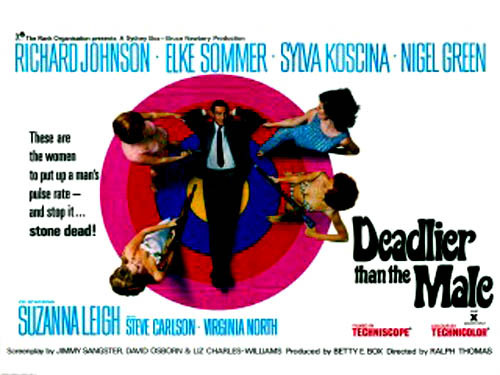 This splendidly entertaining spoof of spy thrillers, brings back detective Bulldog Drummond (debonairly portrayed by Richard Johnson) to do battle with a megalomaniac villain (elegantly laconic Nigel Green), who uses sultry female assassins (Eurobabes Elke Sommer and Sylva Koscina) to do his dirty work. Stylish doses of brutality, sly humor and witty set pieces make this obscure thriller a real winner.